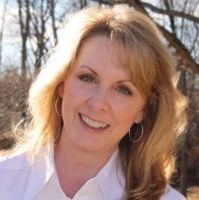 JoEllen has had a very successful private practice since graduating in 1998 from Carolina School of Massage Therapy. She is Nationally Board Certified and a member of the American Massage Therapy Association. She feels truly blessed and honored to contribute to her client’s health and well-being on a regular basis. JoEllen tailors each session to individual needs, integrating several types of massage modalities to reach the desired outcome. Foot reflexology combined with or separate from a massage session. Pregnancy massage as well as coaching pregnant moms to transfer the art of learned relaxation in a massage session, to eventual labor and delivery. In 2013, JoEllen became a member of the Society for Oncology Massage having completed the required training with Tracey Walton, a nationally known researcher, writer, award-winning educator, and specialist in massage therapy and cancer care. JoEllen’s passion for working with cancer patients began early on when several regular clients, and family, began treatment for cancer. Knowing already the value of massage, they each wanted to continue receiving massage therapy during treatment. So the training began, both in the classroom and, more importantly, by her beloved clients. She works by appointment only and can be reached at 919-215-2983. She offers 30, 60 or 90 minute appointments and also packages and/or gift certificates upon request.